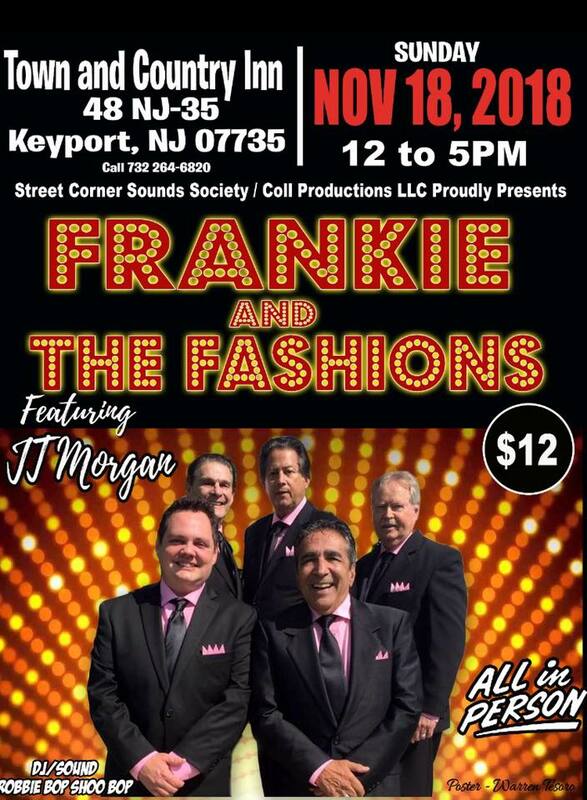 The Street Corner Sounds Society and Coll Production will present the great Philly group, Frankie & the Fashions featuring JT Morgan at the Town & Country Inn, 48 NJ-35, Keyport NJ, on Sunday, November 18, 2018. The event begins at Noon and runs until 5 PM. Admission is $12 at the door. For information call 732-264-6820.